Where may I obtain an instrument to set my prop pitch in tenths of a degree? Can someone help me? I have a digital level (from Sears) which shows any angle in tenth of a degree increments. Would something like that work? Get a digital level (I use a Sears version) and build a bracket (mine is made of scrap aluminum) that can be temporarily attached to the prop blade to hold the digital level. Be sure to position the bracket/level on each blade in the same relative location to facilitate the blade pitch comparison. 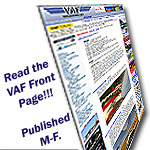 There is much discussion regarding this matter in the VAF/RV-12 blog. Load "Clinometer" app on your iPhone ~ $2. Accurate to 0.1 degree. I just make sure I position the phone on the same part of the blade for each measurement and each blade is moved to the same position for each measurement. Of coarse, this is a relative measurement to make sure each blade is the same pitch, not the absolute pitch of the prop. ....and I'm off to the airport to re-mount and adjust my prop right now.